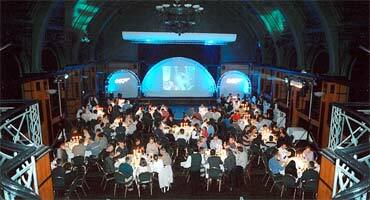 The Team Building Company have been designing and implementing Corporate Team Building Events since 1989. We believe that fun is the most important factor in corporate team building. Our team building events are both fun and business relevant, so key business references can be built into the event. We have many new ideas, games, and constantly innovate new events. We can provide a full day of team building, a half day, a couple of hours, or just a break during a conference. Once we have received your brief we will be able to suggest the best team building solutions for your event. 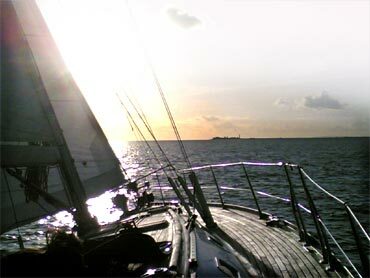 Our range of corporate team building events and activities are suitable for groups of between 10 and 500 participants. We are fully mobile and are able to provide team building activities and corporate events for your company throughout the UK. We offer a wide range of corporate team building events with an emphasis on safety and fun. It is very hard to organise an event that will be the first choice of everyone in a group. In an average group of thirty ten people will do anything, ten people will not want to do anything too physical and the ten in the middle will be influenced either way. For this reason overnight survival exercises on the side of a mountain skinning rabbits will be a fantastic experience for some but it's not a good idea for a typical team. This is one of our signature events. We have taken Treasure Hunt concept and made it a fantastic and memorable event. Most event companies offer Polaroid cameras and Scavenger lists, but we add characters in costume and exciting challenges. 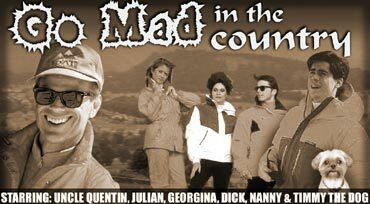 Our Go Mad in The Country event adds the intrigue of a Murder Mystery to the Treasure Hunt, all acted out in a highly entertaining Enid Blyton format. This is a very versatile event and we run as many of these in towns as we do in the country. 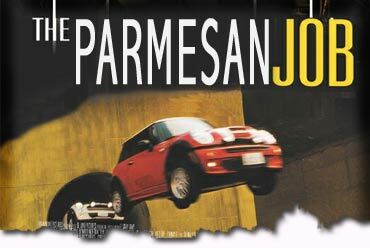 In our Parmesan Job format teams travel in Minis and such experiences as cracking a safe hidden in a white van in an underground car park. In our Christmas themed event teams track down Terry The Turkey, an actor in a comedy turkey suit. Other characters include witches, the Cheeky Chilli and a giant pink pig called Gerald. None of these events are the same and often it's your team's experiences that make the day. Teams have had to escape from all sorts of scrapes and even been 'arrested' by a Policeman who got into the spirit of the day. Our Corporate Treasure Hunts lead the field. We will first look at the desired outcome of your event, whether your goals are to build a stronger team, enhance customer service, resolve conflict or prepare for the future. We will match the activities and group challenges that will help reach the desired outcomes. We have a wide and varied selection of team building events to choose from, or alternatively we can work with you to develop new team building events to suit your exact requirements and needs.